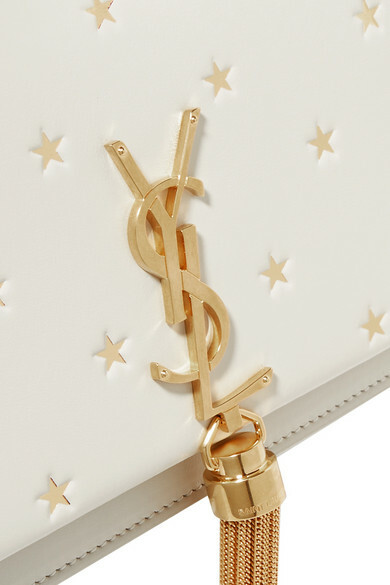 Saint Laurent's 'Kate' bag is decorated with lustrous gold stars, so it's especially perfect for after-dusk when twinkling constellations might actually fill the sky. 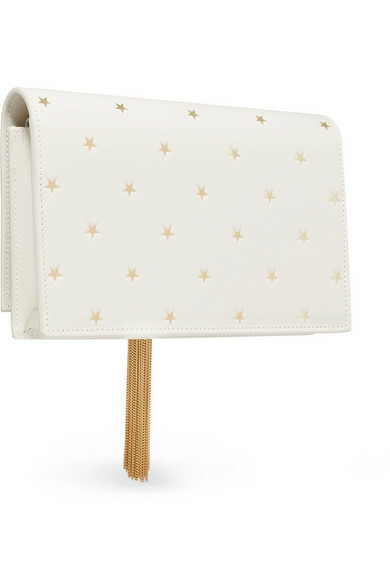 Made in Italy from smooth cream leather, it has a compact interior with card slots, a zipped pocket and space for your phone. 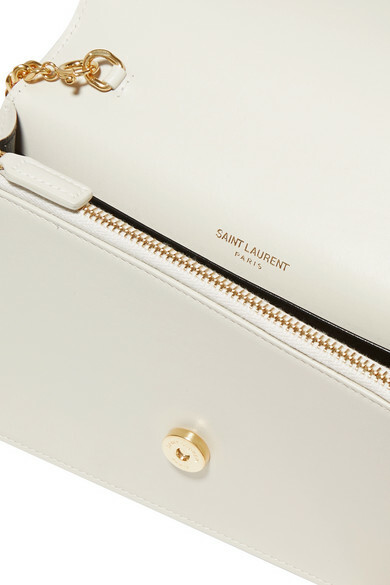 The label's iconic 'YSL' logo plaque finishes the front, along with the signature swishy tassel. 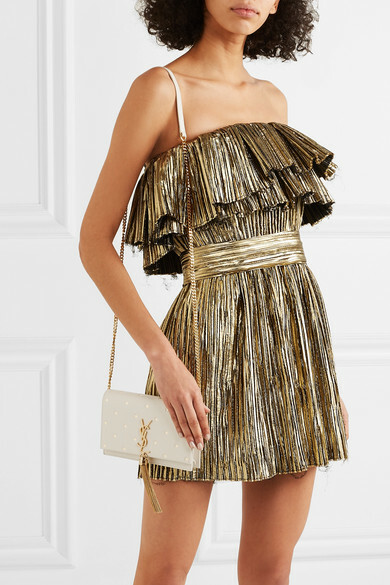 Shown here with: Saint Laurent Dress, Saint Laurent Sandals.